Access to equineGenie can be username and password protected. Usernames and password are assigned by the security administrator. Access can be restricted to assigned areas. Passwords can only be changed by the system administrator. System security settings apply across all equineGenie/clientGenie network connections. equineGenie can be networked to an unlimited number of computers or tablets running a Windows Operating System and clientGenie. The network connection is encrypted and secure. All data is stored in the equineGenie database on the equineGenie system. The equineGenie network supports, LAN, WAN and Internet connections. 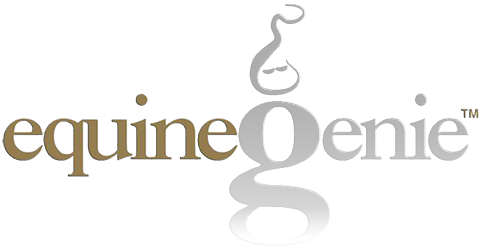 User security setup on the equineGenie system applies to all clientGenie users. equineGenie email can be set up to email invoices to the email address entered in a customer's information. equineGenie has an address book for vendors, customers and other addresses that are important to your business. You can schedule appointments in equineGenie with reminders. equineGenie has a contact manager that will remind you to follow up with potential opportunities for your business. Daily logs can be kept to document tasks and activities. User defined business calendars can be generated for your business.